William J. Devereaux, Jr. is the president of Devereaux & Associates, P.C. Mr. Devereaux received his Bachelor of Architecture from the University of Virginia. He founded Devereaux & Associates, P.C. 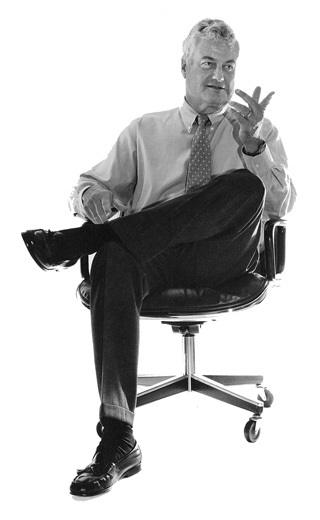 in 1993 after over 20 years with Berkus Group Architects. Although specializing in residential programs, Devereaux & Associates, P.C. is also noted for recreational and commercial structures, resort villages, and manufactured housing components and systems. Widely recognized for design and planning achievements, Mr. Devereaux has received numerous awards for design excellence. Mr. Devereaux has been involved for the past thirty-five years in the design of thousands of senior houses throughout the East coast. This involvement has included landplanning and unit and clubhouse design. Devereaux & Associates also designed BUILDER magazine’s Lifestages House, which was built on the floor of the January 1999 NAHB convention in Dallas, Texas. This home was designed to allow the buyer to “age in place” and was one of the highlights of the 1999 convention. In 2011, Mr. Devereaux was inducted into BUILDER magazine’s Wm. S. Marvin Hall of Fame for Design Excellence. Mr. Devereaux has also participated on numerous judging panels and is also a contributing editor to BUILDER magazine.